As far as clothes are concerned, men can throw on just about anything in minutes. But it's a different story for women. Host Celeste Headlee opens the Gripebag and rants about one of the more frustrating parts of getting dressed for women: zippers. You have probably heard complaints about women's clothing. The sizes aren't consistent. The shoes are lower quality than men's and last as long as a carton of yogurt. I agree, those things are annoying. But I want to talk about the aspect of women's clothing that irritates me more than any other... zippers in the back. Why? That's the most important question. Why? Why have these? Why make any piece of clothing with a zipper that passes through parts of your body that you can't even scratch when they itch? And it's not like they make high-quality, smooth zippers that just need a light tug to move gracefully up your back. I'm not sure why they call them zippers at all. They don't zip. You're reaching your arm back behind you like an extreme tricep stretch and the zipper inevitably gets snagged on a piece of cloth. That's right. These zippers are so badly designed that a clump of cloth from the dress with shove itself in there and gum up the works. But at least this is really rare, right? Wrong! It's regular. It's a regular part of using a zipper. Really? We can create self-driving cars but we can't figure out how to make zippers work properly? But even a stuck zipper wouldn't be a major headache if it were in front of my body or on the side of my body, where I could see the problem and promptly fix it. There are four sides to my body and three of them are absolutely perfect for seeing a zipper, getting a good grip on it, and zipping it up. So why? Why, in the name of all that is holy, do clothesmakers insist on putting the zipper on the one side of my body that I can't see and can't reach without engaging in extreme yoga? To me, this is a feminist issue. Do men have zippers and buttons on the backs of their clothing? Is there a single piece of men's clothing that puts the zipper in the back? No! It's only women whose clothing requires them to have help in order to get dressed. It's a continuation of discrimination against single women. Historically, we were supposed to move directly from our parents' house to our husbands. So there was always someone there to yank up that zipper. 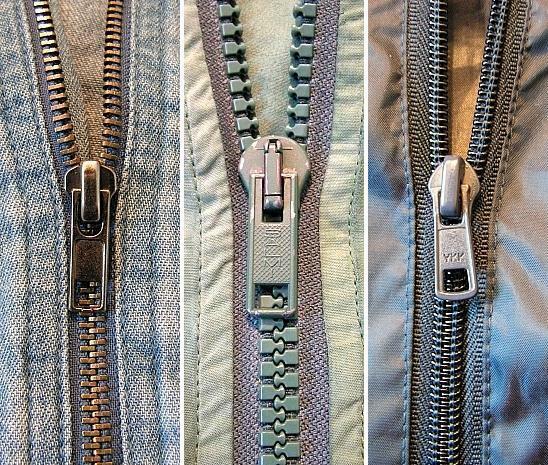 I'd like to start a zipper revolution. Demand an end to zippers in the back. Ladies, let's fight for our freedom from clothes-related contortion. Let the zipper tyranny end at last. 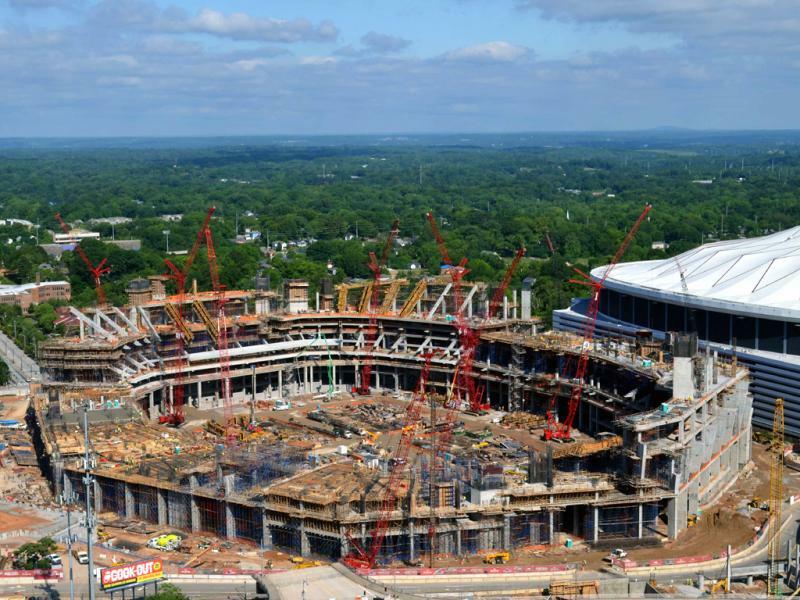 Atlanta is currently constructing two new stadiums, Mercedes-Benz Stadium in downtown Atlanta and SunTrust Field in Cobb County. Although the allure of a shiny new building is exciting for some, others are growing tired of the sacrifices Atlanta is making to create these billion dollar projects. GPB's own Don Smith adds another installment to our "Gripe Bag" series and vents his frustration about Atlanta's fascination with athletic structures. “Fusion” is a popular word these days to describe food. It’s used to refer to cuisine that combines elements from different cultures, but Asha Gomez is not a fan. 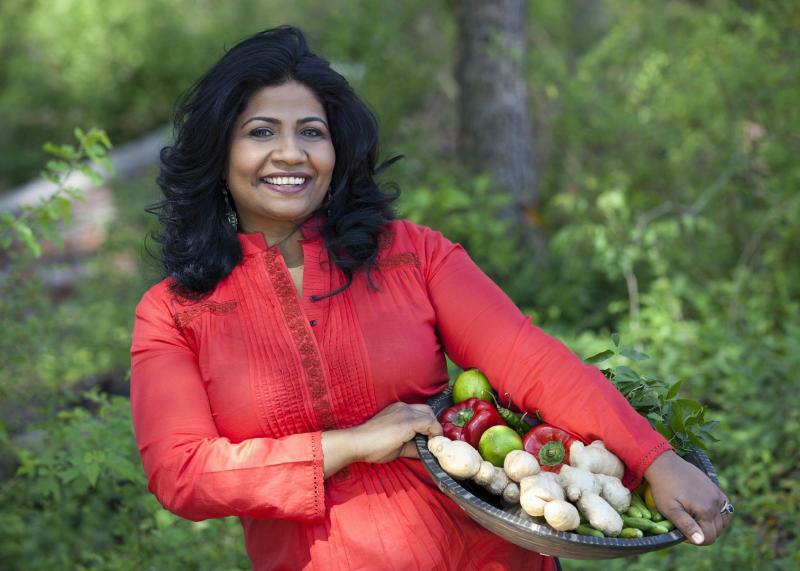 She’s chef and owner of the restaurant Spice to Table in Atlanta. She says the word “fusion” doesn’t tell the full story of what’s on a plate and it’s time to get rid of it. 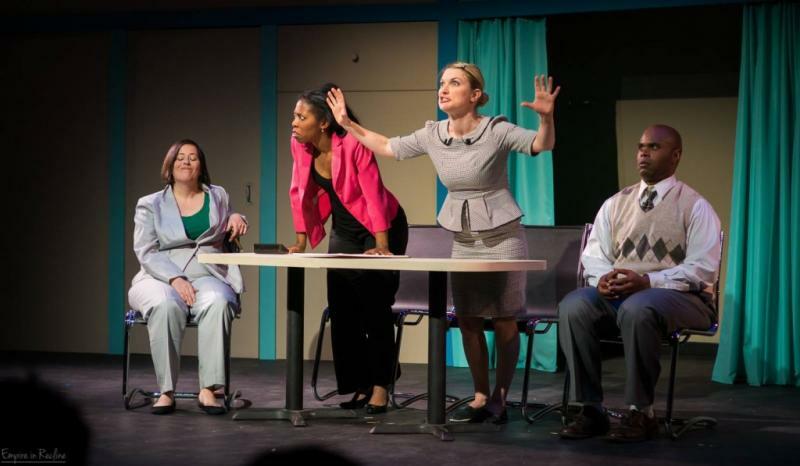 A sketch comedy show at Dad’s Garage in Atlanta promises to deliver laughs and “smash the patriarchy right through the glass ceiling.” It’s called “Woman of the Year” and features sketches that challenge traditional notions of how women are supposed to act, dress and behave.